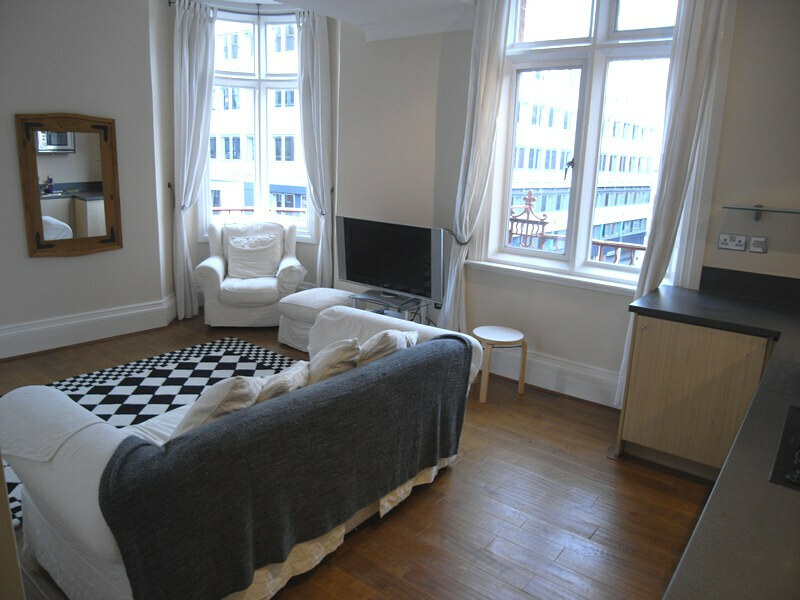 Chamberlain Court is a fantastic character 3rd floor one bedroom apartment located in the very heart of the Financial Quarter. Access to the property is through the residential lobby via the lift or the staircase. 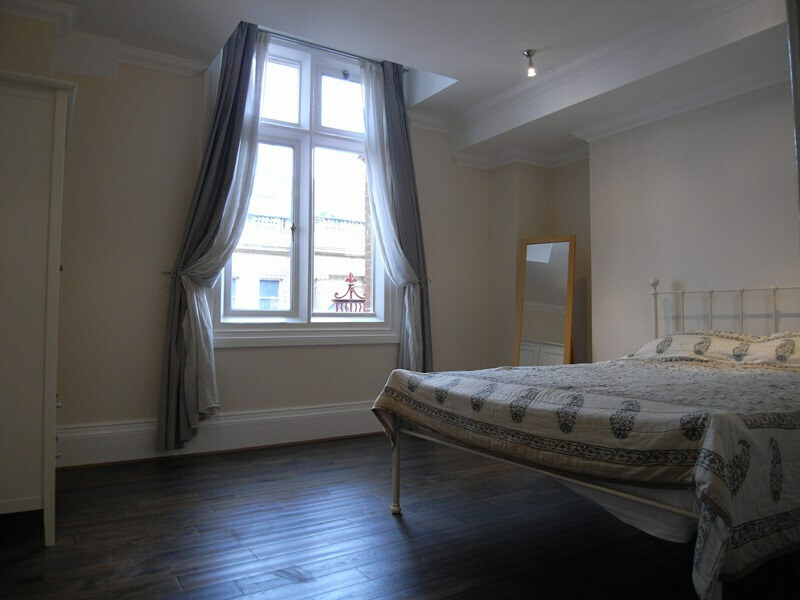 The property has a Georgian style feature windows with aspect over Newhall Street. 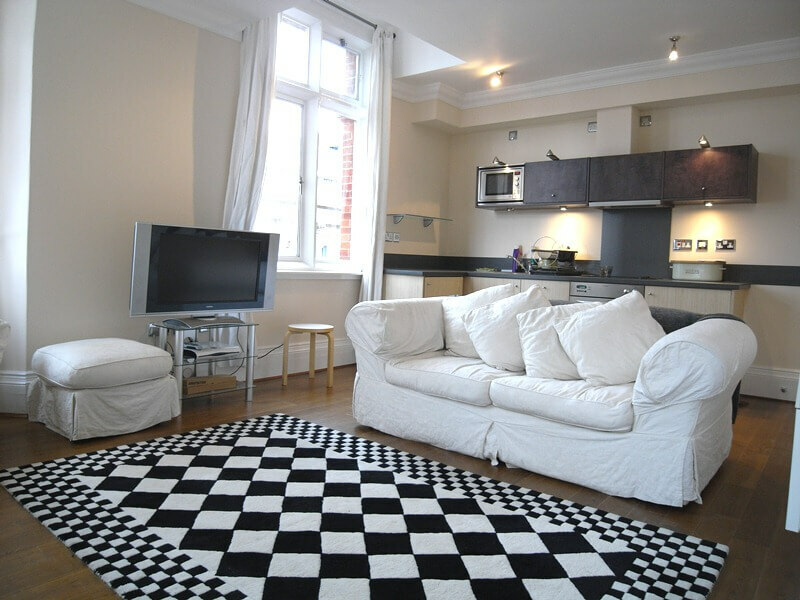 The apartment has been finished to a high level of specification and briefly comprises reception hall, kitchen, living & dining area, study, bedroom and bathroom. 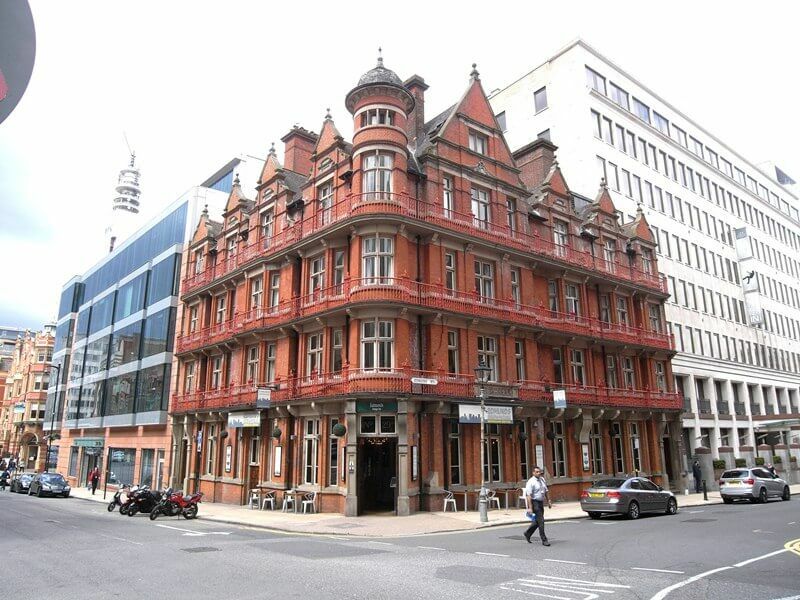 The apartment is conveniently located on Edmund Street in the heart of the City’s financial district, within walking distance from Birmingham’s commercial centre and is ideally situated for access to the A38M and M6 motorway network. Reception Hall 3’11” x 6’1” (1.197m x 1.847m). Plus 13’4″ x 4’9″ (4.05m x 1.455m) Video phone entry system. Wall mounted heater. Double wall socket. Smoke Alarm. Fusebox. Security alarm. 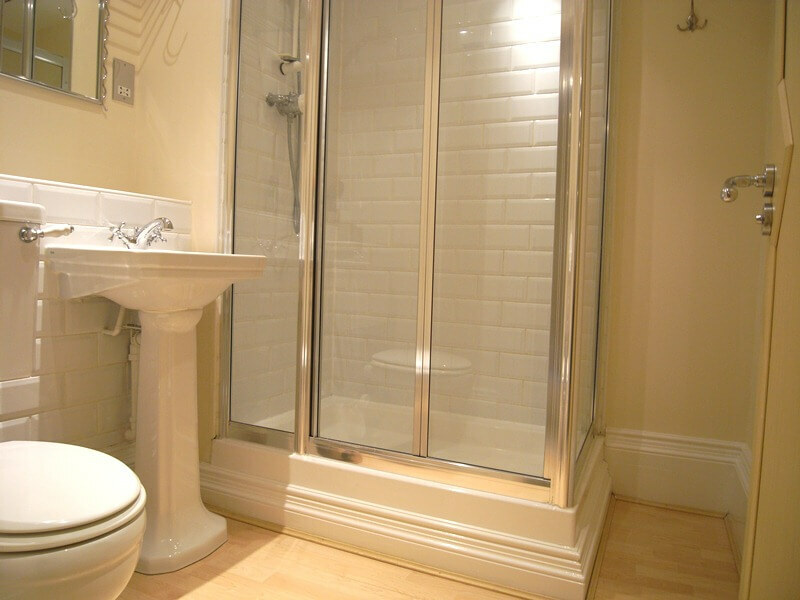 Airing Cupboard 2’1” x 2’7 (0.82m x 0.658m) Providing excellent storage facilities. Housing ‘Flowmaster’ hot water boiler. Living/Dining Area Fantastic entertaining space. Wall mounted heater. Recessed down lighting. Attractive Oak Wooden Flooring. Chrome light switch. Approximately ¾ height wood framed Georgian style windows to front elevation of room overlooking Newhall street. Separate study area. Brushed chrome double wall sockets. Brushed chrome TV /SAT/DAB point. Brushed chrome telephone point. Electric wall mounted heater. Carpeted. 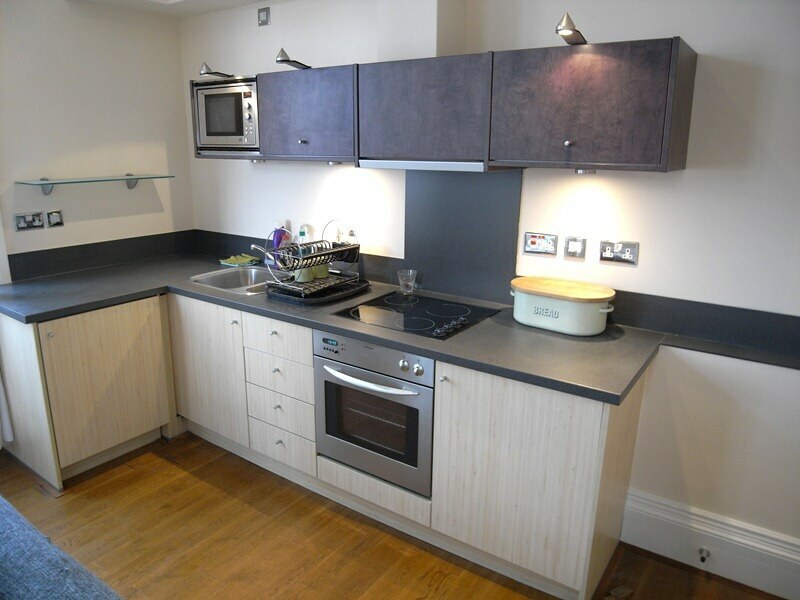 Kitchen Providing a range of contemporary wall and base mounted units with granite effect laminate worktops. Under and over unit lighting. Stainless steel under counter ‘Electrolux’ electric oven. ‘Electrolux’ ceramic hob with stainless steel splash back and matching extractor. ‘Electrolux’ fully integrated fridge freezer. Concealed ‘Electrolux’ washer dryer. In-built ‘AEG’ microwave. Stainless steel ‘Blanco’ inset 1 ½ bowl sink with chrome mixer tap. Chrome double wall sockets. Glass shelving. Smoke alarm. Extraction unit. Bedroom 12’4″ x 13’6” (3.759m x 4.122m) Hand brushed oak wood flooring. Wood framed Georgian style window. Ceiling spotlights. Double wall sockets. TV & telephone point. Bathroom 6’10” x 6’10”(2.093m x 2.093m) Wood Laminate flooring. Pedestal wash hand basin with separate hot and cold taps. Enclosed cistern WC. Tiled surrounds. Shaver socket. ‘Vectaire’ extraction unit. Vanity unit. Double shower enclosure with fully tiled surrounds. Glass shower screen. Recessed down lighting. Towel rail. Wall mounted heater. Fixtures and Fittings Only those items mentioned in the sales particulars are included in the sale. All others are specifically excluded but some items may be made available by separate negotiation. Services – Mains water, mains electricity and mains drainage. Viewings strictly by appointment only. 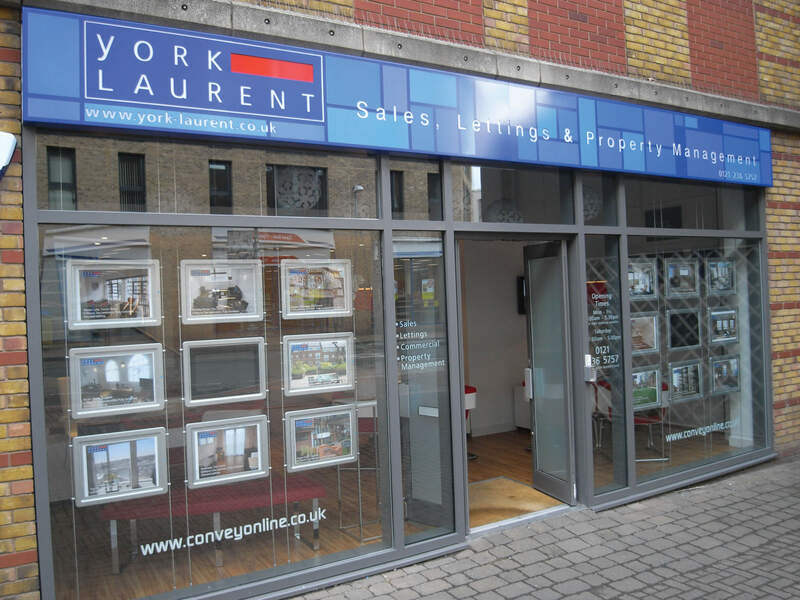 We endeavour to make our sales details accurate and reliable but they should not be relied on a statements or representations of fact and they do not constitute any part of an offer or contract. Any information shown in these particulars or accompanying information are for guidance only and should be checked on site.